Cutting large holes or circular recesses usually involves buying large, expensive drill bits. And if you couldn’t find the right size, you were simply out of luck. 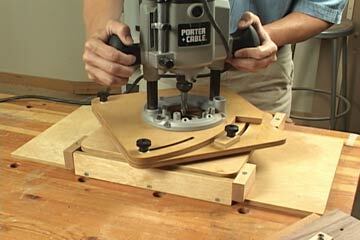 But with this router circle jig, a plunge router, and a long, 1/2"-dia. bit, you’ll be able to easily rout recesses and holes as small as a half-inch, as large as 4", or anywhere in between.